In a utopian setting, the quintessential scenario for Pakistan would be to educate every child, thus leading to countless benefits, not least in relation to important indicators such as employment, health, equality and so on. Receiving “free and compulsory” education is also a legal constitutional right for every Pakistani child aged five to 16 under Article 25A. However, let’s face the harsh reality: Pakistan is unable to educate every single child. According to budget estimates, the government will only spend around a meagre 2.03% of its gross domestic product (GDP) on education in 2018. This is way below international requirements. Resources are an obvious constraint and it seems obvious that the government’s stubbornness to not spend a much bigger piece of its budget on education is alarmingly permanent. Approaching 2019, the spending of education remains less than 3% as a proportion of GDP despite recently-ousted Prime Minister Nawaz Sharif’s promise to increase the proportion to 4% by 2018. So how should they deliver on their promises as per Article 25A? After all, the government is legally bound to provide every child with an education. In advance of that, however, we must confront another matter of urgency. Before even considering educating a higher quantity of children, the country must prioritise on improving learning outcomes. They need to substantially improve the existing schools before making more. Reverting back to education spending, the Pakistan Economic Survey 2017-18 cites an interesting discovery. Even though enrollment rates on a national level increased in the previous year, the literacy rate staggeringly dropped from 60% to 58%. This is likely down to the poor quality of education. After all, what is the point of sending a child to school when that child is hardly learning anything there? Take the story of two siblings, Zaeem and Saad. Saad is considerably younger than Zaeem and thus, was fortuitous enough to be enrolled in one of the government’s recent education schemes. An uneducated Zaeem, on the other hand, works on his father’s farm, a way for him to successfully contribute to the family income. Seemingly on his way to a life full of opportunity, the unthinkable happens. Saad drops out. After investigating the potential reasons, what caught me was truly eye-opening and, to some extent, justified. In school, Saad was barely learning anything! He was in the fourth grade and he still did not know how to read or write. His parents soon acknowledged that they were wasting resources (families still have to pay high indirect costs such as costs for uniforms, books and so on in spite of free public education) and thus forced him to drop out. Who could blame them? After all, it does make sense – there is an obvious opportunity cost. Saad now works with Zaeem on the family farm. Saad is just one of the millions who drop out. 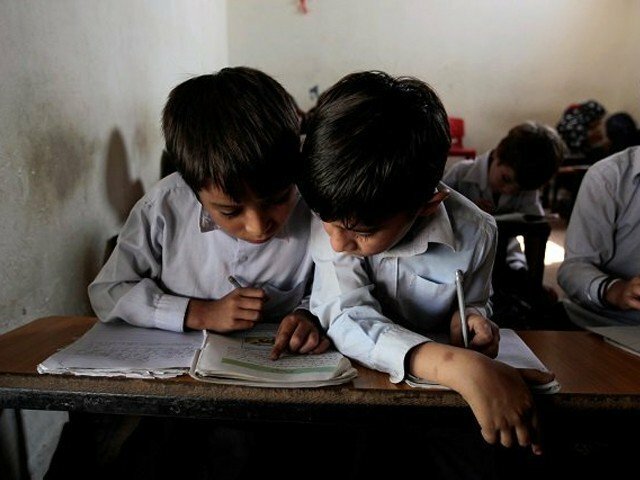 According to the United Nations Educational, Scientific and Cultural Organisation, Pakistan has the highest rates of drop outs (38.5%) among the South Asian countries. How many of these dropouts had a case akin to Saad’s? Being in school is not a guarantee that the child will actually learn. In fact, the Annual Status of Education Report (ASER) data explicitly claims that in rural populations, an estimated 25% of children who reached grade five had managed to reach a level in mathematics and language which should have been reached by grade two. Absolute learning is low; the quality is lacklustre and only recently is this issue being seriously highlighted. The quality must improve. An obvious answer lies with improving teaching methods. Research has now made it predominantly clear that improving weak teaching in developing countries will better the quality of education. In Pakistan, teacher absence is notably high and there is a lack of incentives (suitable wages) to motivate them. There is also a lack of accountability and this is particularly hampering performances. Therefore, as a matter of priority, these teachers need to be trained and given suitable incentives that enable them to contribute in a much more positive manner. The failure of using technology represents a missed opportunity. 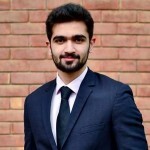 According to Faisal Bari, an economist, schools across the nation are innovating the use of computers and tablets to usher in quality matters into their curricula. This needs to be urgently embraced, supported and encouraged. The government should even subsidise technology for schools that cannot afford. Furthermore, another issue lies with the facilities of existing schools nationwide. ASER data, in 2016, reported that around 50% of the schools surveyed were lacking in water and construction facilities. Primary schools in the Lakki Marwat district, to be specific, are in an abysmal state. Room sizes are small, building constructions are incomplete and deprivations in typical classroom features such as blackboards, stationary and furniture are common. The situation is so bad that teachers are forced to teach in open air. Learning is suffering and, as a result, parents are taking their children out. That story sounds familiar. Remember Saad? Moreover, in schooling structures around the country, there is another hotly contested debate. In the Cambridge International Examination and Matric model, the concept of rote-learning is prevalent. I can even admit that I memorised material in Urdu for the sake of passing my O’levels. Embodying this strategy, I found myself at a potential disadvantage later on as I had no idea what I was studying. I soon realised my fears as I struggle to read Urdu even now. Thousands are at a similar standing countrywide. They are memorising material without knowing what it means, let alone applying their learning in real life. In spite of that, a change in method is absolutely necessary. A child should be educated, contingent to the education standards meeting a suitable threshold. Thereby, unless improvements to the already existing institutions are made, fulfilling article 25A will be a waste. Even Malala Yousafzai, arguably the most prominent education activist in Pakistan, repeatedly puts emphasis on “quality” education. She isn’t wrong. It’s time Pakistan acts. The quality must improve. Only then will hope be instilled in the likes of Saad. Important topic ….. nicely expressed.